Rated: PG-13 for intense violent thematic material and disturbing images. 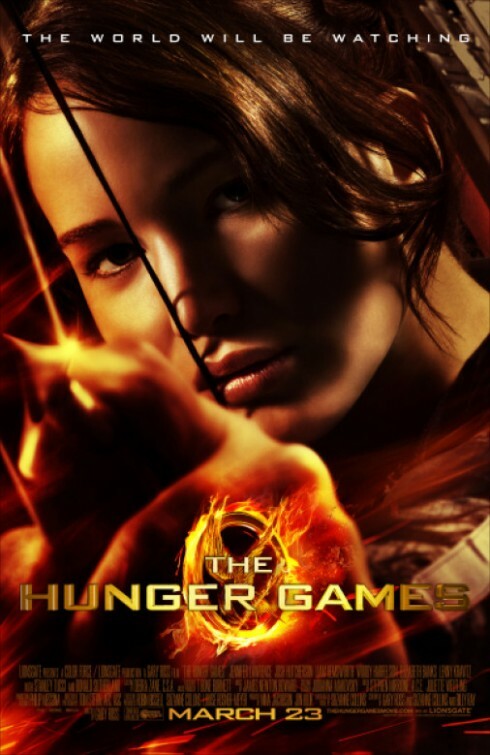 Katniss Everdeen (Jennifer Lawrence) has been forced to grow up way to fast since her father died; taking care of her mother through a deep depression and a little sister who counted on her to put food on the table, she'd done what she had to to survive. 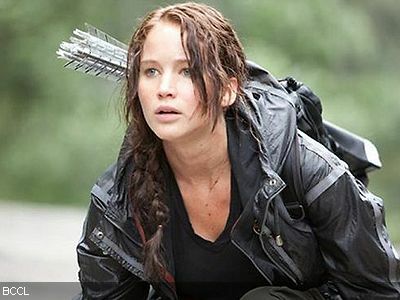 Her only friend, Gale Hawthorne (Liam Hemsworth), makes life easier knowing she's got someone to watch her back. That is until her sister's name is chosen for the Reeping, an annual event where one boy and one girl are chosen out of each of the 12 districts of their nation, Panem, to compete to the death in The Hunger Games. Suddenly, Katniss is thrust into the glamorous life of the Capital and their deadly games along with a boy she knows from her past, Peeta Mellark (Josh Hutcherson). The two are forced to work together even though only one will live. 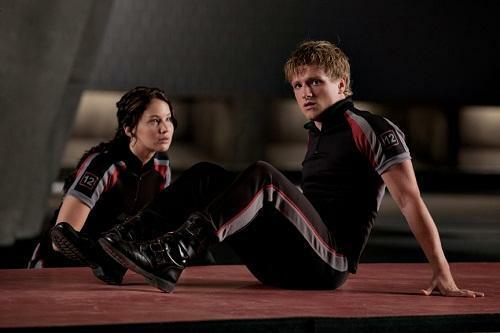 Romance, tragedy, and action greet them in the arena, but only one question remains: Who will be the one victor? I literally read the book the DAY before the movie came out and I must say, I'm really glad my sister forced the issue! In my opinion, the movie was pretty good and great; pretty good if you happened to not have read the book and great if you did. Unlike a lot of other books-made-into-movies in the past that were just eh-so-so, I really thought this movie complimented the book very nicely. For example, things in the book that were only hinted at in conjecture by the characters were actually shown in the movie. The actors (a few of them being somewhat new blood) did a great job, especially Jennifer who WAS Katniss Everdeen! Despite the fact that it was nearly a two and a half hour movie, I feel the plot line went a little too fast at times; I would have liked to see a little more substance to the different scenes rather then rushing from one to the other to the other. I can't wait for you to finish the second as the intertwined parts from the second book into the first! I have the book on Kindle and really need to dedicate some time to reading it. I'm sure I'll love the movie but alas I probably have to wait until it comes out on DVD or Netflix. Great review. I like how you said to read the book first and why, so I think I'll take your advice. I don't know much about either except for what I just read. So I really don't see what all the hullabaloo is, but I think I should find out. Thanks for the great rendition of your opinions of both. HAPPY EASTER! I'm itching to read the book!! I've read the first two books and saw the movie at a midnight premiere. I really enjoyed the movie and thought it stayed pretty close to the book. I agree, it will be harder to follow for someone who hasn't read the book. I'm going to order the third book soon to read.